Spanish and business double major Samantha Robbins recently returned from Guatemala, where she helped teach young children and had fun painting buildings with fellow students and faculty from Seton Hill. It wasn’t her first trip out of the country; Sam has traveled several times with Seton Hill and has also studied abroad for a semester at the Academia Hispanica in Cordoba, Spain. Learning about something and then being able to go experience it first-hand is what Samantha says she enjoys most about Seton Hill. 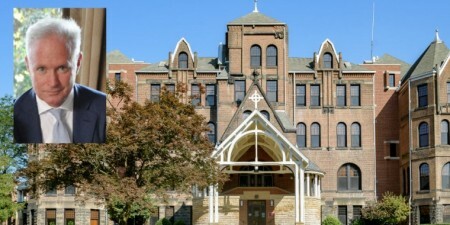 A senior now, Sam spent her time at Seton Hill on the run. 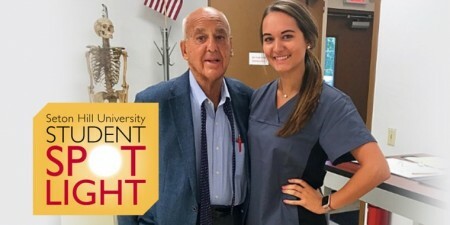 In addition to completing a double major and studying abroad, Samantha interned with the Greater Rostraver Chamber of Commerce and Chick-Fil-A, and enjoyed experiences as a Student Ambassador and member of the Seton Hill Programming Board. She also dedicated significant time to volunteer and service projects. Sam’s love of travel and the Spanish language has set her right up for her first job. She’s just accepted a position teaching in Barcelona after she graduates from Seton Hill this May.